The application module Hot Forging brings special functionalities for the simulation of Hot Forging Processes and enables also the process of Hot Die Forging as well as further core processes like Clamping and Cooling, Cutting, prior deformation and also extrusion processes. Nowadays the simulation of hot die forging is an integral part of a modern CAE environment. Simufact Forming combines easy and intuitive usability with a reliable prediction of forging processes. 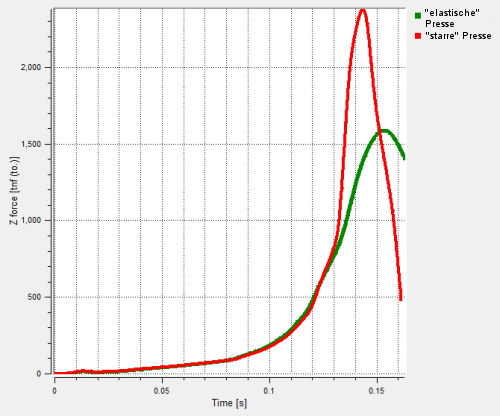 The simulation results are useful for advanced product and process development, for the continuous optimization of series processes, and feasibility studies during program bidding. Automotive Conrod: The simulation picture calculated by Simufact Forming and the real pictures is form the production halls of MAHLE GmbH. Simufact Forming enables modelling of entire process chains in hot forging beginning with the supplying of raw material (billets, slugs, blanks), an initial heat treatment/heating, upsetting, pre- and finish forming, trimming, shearing, punching, calibrating, cooling and final heat treatment. "Essentially, we could improve our entire process with regard to process stability, quality, increasing productivity and material savings with the help of simulation. Forming simulation for us stands for advancement, continuous development and cost savings." The Simufact Forming Hot Forging application module principally serves the simulation of bulk forming operations with starting temperatures above the recrystallization temperature. Hot die forging, as well as important side processes such as heating and cooling, separation processes and preforming operations (upsetting, bending) are available. Other typical processes such as (hot) extrusion processes can be modeled with the hot forging module. In combination with the Rolling application module, reducer-rolling and cross wedge-rolling operations can also be simulated. In addition to an early knowledge of the metal flow and integral quantities such as press loads, energy- and work requirements, our customers also have access to our proven and powerful tool Die Load Analysis. Intuitive templates for all common process types enable realistic virtual testing and optimization under conditions similar to those on the shop floor. The kinematics database includes user-friendly interfaces for commonly available metal forming machines. Once defined, all machine specifications can be saved to the database for later use. The exclusive dual-solver technology of Simufact Forming (Finite Element and Finite-Volume Solver) gives the user a problem-oriented simulation solution, perfectly tailored to each task. The right selection of the optimal solver technology is supported through appropriate templates. The level of detail in the simulation model is easily adjustable and ranges from a simple metal flow analysis to the analysis of microstructural evolution with respect to final part properties (Microstructure module); and with the help of the Die Load Analysis, module the study of complex tool systems. The elastic response of the whole machine accounting for stiffness, elasticity, and frame elongations is a standard simulation feature. Temperature development during the multi-directional forging of a brass component. Simulated with Simufact.forming Hot Forging. 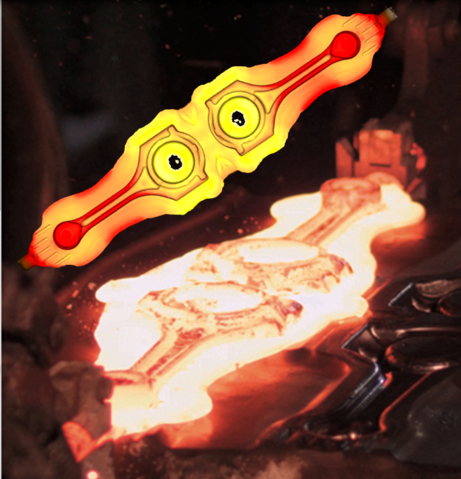 Simufact Forming Hot Forging enables both two as well as three-dimensional simulations. Individual manufacturing stages along a process chain can automatically be coupled and ensure high throughput and utilization rates of the software. For the virtual development and optimization of complete manufacturing processes we recommend a combination with the Rolling, Die Analysis and Heat Treatment modules. The material data base contains approximately 750 material data sets including relevant ferrous and non-ferrous materials and material families. Nickel- and titanium-based super alloys. Non-ferrous metals such as copper and the related alloy systems such as brass and bronze. Furthermore, the user can import or define external material data via appropriate standard interfaces such as from JMatPro® (Sentesoft). Furthermore, arbitrary motion sequences for several moving tools can be defined in table form. These can be time-, speed-, and stroke- or force-controlled. Real-time machine data can be imported as well if needed. "With approximately 50-60 new projects a year, we save one to two design and try-out loops per project. Without going into specific numbers, it can be estimated that up to five-digit sums arise for each variant." "Automatic mode" for physical phenomena such as friction, heat transfer and radiation.